Look for the 250 foot arch. 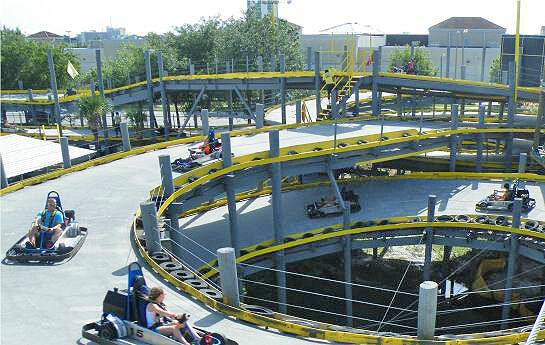 Fun Spot America is a family Amusement Park with fun attractions for all. 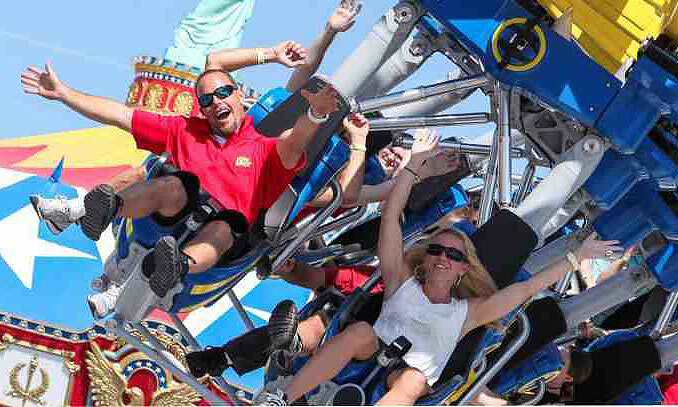 There are two new roller coasters, including Orlando’s only wooden coaster, a 250 ft SkyCoaster ride, four multi-level go-kart tracks, and exciting rides like a 100 foot Ferris wheel, Tilt-a-Whirl, Bumper Cars, Carousel and over 100 arcade games. 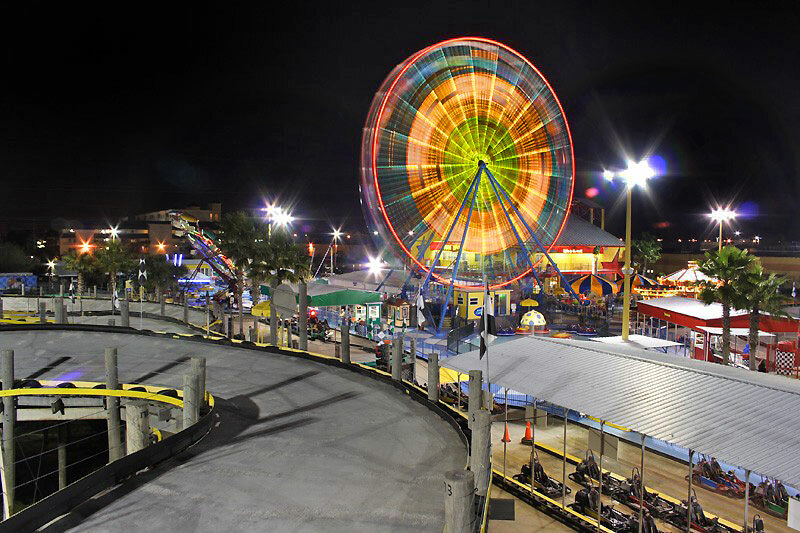 Get wet on Bumper Boats, go 40 feet down a super slide, or spin in the air on their Scrambler. Young children can enjoy a collection of pre-school rides, like the Froghopper, the Swirling Swings, Tea Cups and a train ride. Fun festive foods, Midway Games, and Birthday parties, are also available. Admission to the park is free. Bring the whole family, even those who aren’t going on rides. You pay per ride or per day. Parking is free at Fun Spot America, and so is the Wi-Fi. Group rates are available for 15 or more. There are corporate events, family reunions, and holiday parties for those interested. Hours change from their peak season to their off-peak season from September to January. 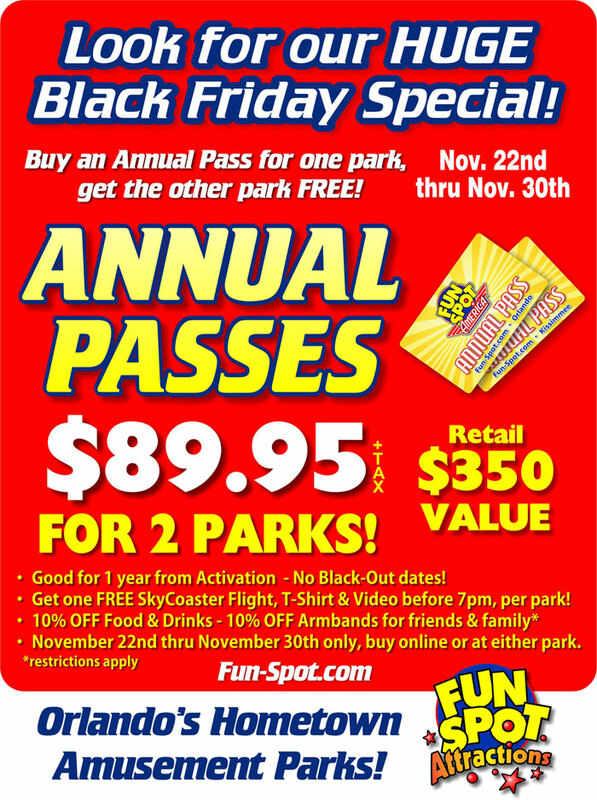 Fun Spot is offering its guests, friends and families 75% savings on an Annual Pass on Black Friday Week only. Details are located in the flyer in the image gallery. 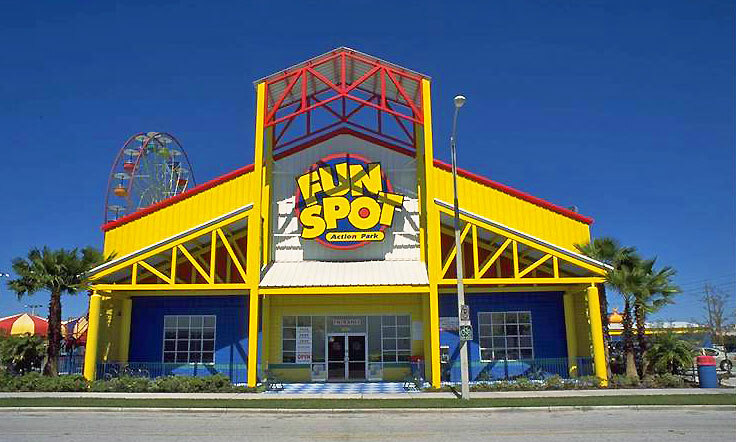 Fun Spot America is just off north I-Drive at Fun Spot Way. Look for the 250 foot arch.It's off of exit 75A from I-4.